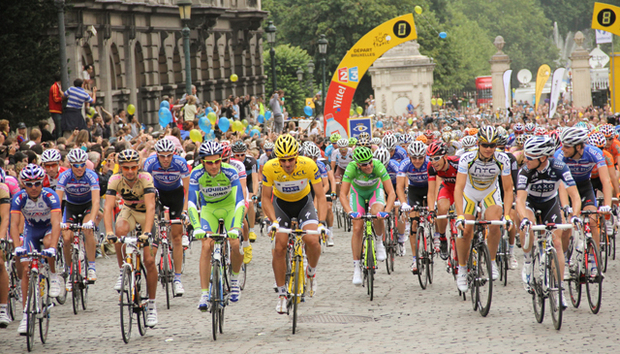 Last week, as stage two of the Tour de France rolled past our new offices in the centre of York in the north of England, it got me thinking about what businesses could learn from what is widely recognised as one of the most difficult and arduous sporting events in the calendar. While life in the saddle may seem worlds apart from sitting behind a desk there are many similarities. It is a race where working hard is simply not enough - riders must rely heavily on teammates, plan carefully for any eventuality and keep a close eye on the competition. Business leaders will, of course, recognise these challenges themselves. Team Sky’s General Manager Dave Brailsford is often cited as a management genius and it's not without good reason. Although bad luck derailed this year’s efforts, his work with 'marginal gains', using data to refine and optimise every aspect of riders’ performance, has led to two consecutive Tour de France wins for his team. While some commentators have criticised his methods for taking the heart out of cycling it is difficult to argue with these results. For a business this means using the data at its disposal to predict market trends and ensure the organisation is well positioned to capitalise on new opportunities, respond to changes in circumstances and head-off emerging challenges. Many organisations already prioritise the collection and storage of data, but then leave it idle in Excel spreadsheets and adding nothing but cost. What the Tour de France has really taught us is that data is only valuable when it’s brought to life in helping impact the performance of the business. Last year's battle for Mont Ventoux was one of the highlights of the tour as the eventual winner Chris Froome famously ‘broke’ his main rivals and all but secured the Maillot Jaune (or yellow jersey). Rivals Alberto Contador, Andy Schlek and Nairo Quintana all succumbed because they couldn't keep up with changes in pace from Froome and the rest of the Team Sky riders. What’s the lesson here? Simply put, your organisation must be agile and flexible enough to keep the pace with rivals. Adhering to old-processes and clunky legacy software leaves a business at risk of being left behind as the market continues to embrace the cloud operation model and increase the speed of change within their organisations. Successful businesses now require a flexible workforce that is able adapt in real-time to any changes in the market – ensuring they stay one step ahead of the competition. While the breakaway riders (those out in the front) often seem to have control of the race it is actually the Peloton (the main bunch of riders) which dictates the pace - allowing the breakaway time out in front or else reeling them in for a sprint finish. Similarly, while early adopters are important in driving a business forward, it's unlikely that an organisation is going to see any real benefit from a new technology or process until it is used by the majority of the workforce. With this in mind, business leaders should aim to promote the role of the ‘citizen developer’, taking an end-user centric approach and placing control and customisation of technology in the hands of the individual departments which are best placed to understand the problems the business needs to solve. Organisational flexibility doesn’t come solely from mobile working or a scalable cloud infrastructure but also from empowering business users to find the technologies and processes which best enable them to work most effectively. In all, the cloud-era has gifted businesses a new level of organisational flexibility, one which allows new processes and technologies to be integrated quickly into working culture. This has sped up the pace of change across all industries and business leaders must be constantly on the look-out to find new inspirations for business change. The Tour de France offers a great example: with large investments in finding new and exciting strategies, the race acts as mirror for many industries. Overall, the key takeaway is that by ensuring your business stays engaged in new IT trends and technologies it can put in place the necessary measures to operate a flexible approach to working practices and business strategies. And as ‘Le Tour’ shows us ever year, the teams who fail to innovate will miss out, while those that strive to be the first to discover a competitive advantage will always take the biggest prize.